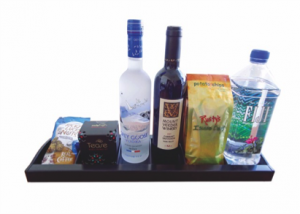 Hospitality’s leader in minibar design to showcase C32, eTray and DD46 solutions, alongside company product line recognized for efficiency and style. Houston — June 13, 2018 — Bartech, a world leader in profit-generating automatic minibar solutions for the hospitality industry, is set to exhibit the latest developments in minibar technology and design at HITEC 2018, taking place June 18 – 21, at the George R. Brown Convention Center in Houston, Texas. Located at booth #1420, Bartech will demonstrate how solutions such as the C32, eTray and DD46 can simultaneously maximize in-room revenues by appealing to guest impulse buying behaviors, while also dramatically reducing expenses through enhanced operational efficiency. Providing flexible options in minibar functionality and design, the C32 is available as a fully automatic, semi-automatic or manual solution. 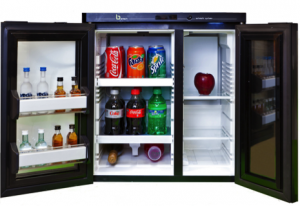 With a capacity of 40 liters, C32 minibars can store up to 32 products and when equipped with Bartech’s advanced sensor technology, can eliminate costly management practices by automatically posting purchases to a guest’s profile and by notifying which specific items require restocking. A solution that also enhances guestroom aesthetics and entices guests with its appealing design, the C32 is available in multiple finishes and can be customized with a glass door featuring a hotel brand’s logo to align with property branding. 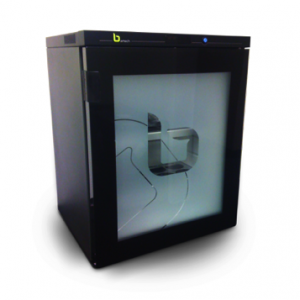 Also being showcased at HITEC, Bartech’s DD46 can provide guests with the convenience of an in-room fridge for personal items, while still allowing the property to benefit from in-room sales. Offering a storage space totaling 70 liters and 2.5 cubic feet, the DD46 provides a left side that is fully automated with the use of micro-switch and magnetic sensors. Along with a right side that is left empty for a guest’s own items, the DD46 can also be offered with a top dry selection space. As with the C32, its appearance can be customized to meet any hotel design need. Bartech’s innovative eTray gives hotels the added ability to stock and earn additional revenue from non-refrigerated items. Without requiring a co-existing minibar and at a fraction of its cost, the eTray nonetheless leverages the same advanced sensor technology to streamline operational management and allow for lower pricing of stocked products. Items that can be made available to guests via the eTray include bottled water, snacks and even toiletries or electronics such as cell phone chargers. For more information about Bartech and their comprehensive range of automatic minibar solutions, please visit Booth #1420 during HITEC, contact Bruno Agrario at +1 702-335-2318, email bruno@bartech.com or visit www.bartech.com. About Bartech | For more than 25 years, Bartech has been a pioneer and a leader in the field of minibar design and technology for the global hospitality industry. Since introducing the world’s first open-display automatic minibar, Bartech has developed a stellar reputation as the provider of the industry’s most powerful and sophisticated solutions to manage hotel minibar operations. With hundreds of thousands of minibars installed in more than 90 countries, Bartech has been selected by many of the most prestigious hotel chains and independent properties worldwide. With an in-house R&D department and worldwide customer support, Bartech is dedicated to continuously enhancing product design, software and system integration with the latest technologies, in order to meet the growing needs of the industry for increased profit and efficiency. For more information, please visit www.bartech.com.